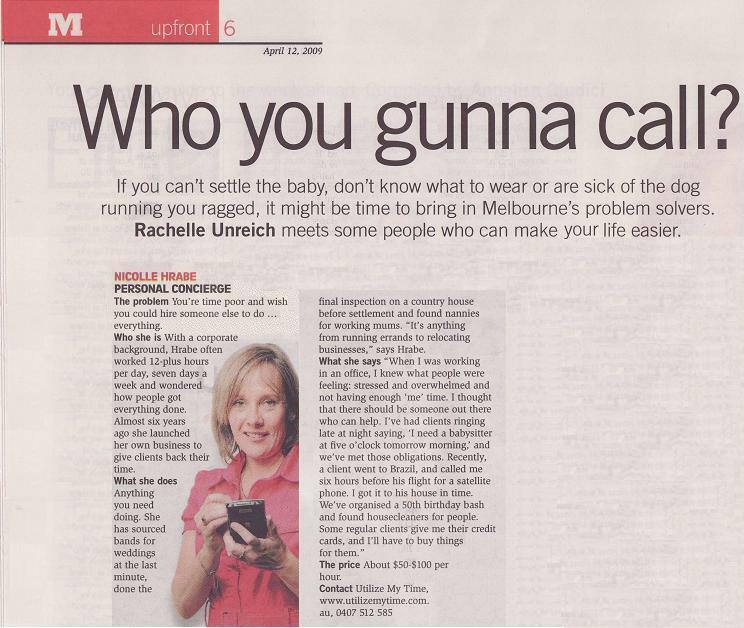 If you can’t settle the baby, don’t know what to wear or are sick of the dog running you ragged, it might be time to bring in Melbourne’s problem solvers. Rachelle Unreich meets some people who can make your life easier. The problem You’re time poor and wish you could hire someone else to do .. everything. Who she is With a corporate background, Hrabe often worked 12-plus hours per day, seven days a week and wondered how people got everything done. Almost six years ago she launched her own business to give clients back their time. What she does Anything you need doing. She has sourced bands for weddings at the last minute, done the final inspection on a country house before settlement and found nannies for working mums. “It’s anything from running errands to relocating businesses” says Hrabe. The price About $50-$100 per hour.